Its been ages that medimix is part of my family. I have acne prone skin and it stays oily all the time. I have to pay extra attention to my skin. Medimix comes very handy in such a situation. 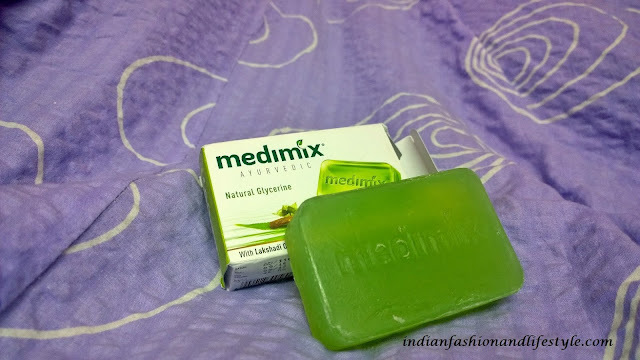 Starting from packaging of the product its nice unlike regular ayurvedic soaps. 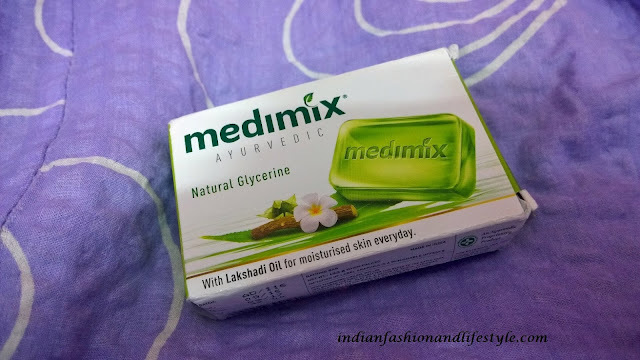 It has lakshadi oil as main ingredient after glycerin which is mixture of ingredients. Soap bar is rectangle-shaped translucent green in color. The shape make it easy to hold while having bath. Fragrance is fresh and lively which assures you feel energetic after bath. Fragrance has mix blend of essential oil. Soap lathers well with water and washes off easily with splash of water. You can use it on your body and face. In winters it will not only keep your skin moisturized but also will add glow. This is due to presence of Lakshadi oil. Glycerin works great for cleansing skin and Lakshadi oil is mixture of fifteen gradients.Soap is made of natural ingredients mixed in ayurvedic formula. It also imparts brightness to skin. Over all the product price is economic. It is good for skin to use at any time of year. *you can use it daily. *Fragrance stays for one hours. This is actually a great product. Its been in the market for years. If you are one who have sensitive skin then this product is just the right choice for you. The soap sounds super amazing. Got to try it out. I've used this soap through out my school and college days, probably what kept all the acne at bay. Love this soap.